Are you looking for a reliable carpet cleaning professional to clean your Mill Spring North Carolina couch? Your sofa sees a lot of action, and a good sofa cleaning is often a necessity. 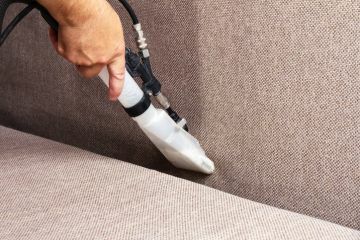 At Steam Master Carpet & Upholstery Cleaning Inc, we’ve been professionally cleaning Mill Spring sofas and love seats since 1989 and we’re in the business of helping your furniture look and feel good. After all, furniture upholstery cleaning requires more than just a few runs of a vacuum and typically requires better products than what you can buy at your local store. If you’re ready to get your old sofa looking new again, call the experts at (828) 484-2835 today! When choosing Steam Master Carpet & Upholstery Cleaning Inc, your furniture will get a deep down clean that you won’t get if you try to clean your couch yourself or choose a random company. Affordable: Because of our 30 years in business, we know having your couch cleaned shouldn’t cost too much, which is why all our couch cleaning services are extremely affordable. Contact Steam Master Carpet & Upholstery Cleaning Inc today at (828) 484-2835 to schedule a free estimate to clean your sofa. We believe in being open and honest with our customers, so our Mill Spring couch cleaning process is listed below so there are no surprises when we arrive at your house. Our mission is nothing short of your complete satisfaction! We recommend having your furniture professionally cleaned at least twice a year to remove any dirt, stains, or allergens that become embedded over time. If you have a cloth couch and suffer from allergies, you may want to consider having your couch cleaned more regularly. And when you’re in the market for a professional Mill Spring sofa cleaning company to make your furniture look new, be sure to contact Steam Master Carpet & Upholstery Cleaning Inc today at (828) 484-2835 to schedule your free estimate. 5★★★★★ - "Steam Master did a great job and was very professional." 5★★★★★ - "I did not stay to see the finished product as this was a move out clean, but I have to see that the company seemed very knowledgeable about issues I had with a prior cleaning that was unsatisfactory. They also changed the air filter orior to the cleaning, which made a lot of sense." 5★★★★★ - "I was very pleased with John and will use them again!!!" 5★★★★★ - "The technicians were very professional and did an excellent job." 5★★★★★ - "They are very professional, friendly, and do an excellent, thorough job of cleaning carpets." 5★★★★★ - "I was extremely pleased not only with the job that was done, but the service provided by Tanya. I am a real estate agent and had her clean a clients house that had been on the market for quite some time. The carpet had pet odor and stains. They removed EVERYTHING and 2 weeks later the house went under contract and sold. I feel that after the cleaning the home just showed that much better. Hats off to all of you!!" 5★★★★★ - "Excellent! I called the night before I was moving into a rental house. The floors were filthy with cat and dog hair and multiple stains. A man from the company arrived the next day exactly when they said they would. He was courteous and hard working. The carpets looked great! I was amazed. Would definitely call them again."